With cross country in Melbourne last Saturday and Monday, Met East track athletics Thursday and Friday at QEII, Triathlon Queensland Moreton Bay back to back on Saturday and Nissan State Triathlon Series on Sunday at Redcliffe I am exhausted. Melbourne did not turn out quite as I had hoped. Who knew that counting was such an important part of triathlon? With 20 laps for a 1km swim TT, 12 and a half laps for a 5km run TT and 10 laps for a cycle race. Well I was ecstatic to be back racing. Although I have been doing cross country and track, nothing quite compares to the atmosphere and the challenge that a multisport event brings. 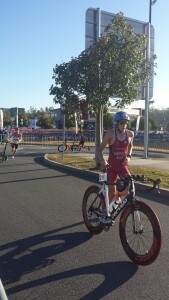 For me a duathlon is the ideal event, it combines my two best legs and gets rid of swimming. 800m PB, 1500m PB, 3000m PB. Well I don’t really have any reason to be disappointed with my efforts at District Athletics carnival on Thursday and Friday with a PB for all my events. I made the team for the 800m on Thursday, and then raced the 3000m that afternoon and put in all my effort. As a result I ran a new PB and had some very sore legs. However I still had the 1500m to run the next morning. Read more about 800m PB, 1500m PB, 3000m PB. The event took place over three days with the opening ceremony and course orientation on the Saturday afternoon. I had walked the course a couple of weeks ago, all I had to do on that afternoon was sign in and be at the opening ceremony. The next morning I slept in and spent the first half of the day getting ready before leaving for my race which started at 2pm. Runaway Bay was hosting the event and it certainly blew me away, literally….. The wind was insane and the course was hilly, what more could happen? The other day I walked into The Athletes Foot Carindale, for a personalized shoe fitting. I have never had my foot or the way I step or run tested, so I thought it was about time. I walked into the shop and after a quick look around, I was being fitted by store manager Lewis. Redlands cross country, my local race. I didn’t feel like racing and was a bit flat after this morning’s swim session with the Cleveland Squad. I decided to take some of Crowther’s rocks to harden up and race. It was a quiet afternoon and a bit overcast, but a good course. The race was 2 laps of a 2km course with some really sticky and stinky mud. I was leading by the first km of the race and pulled a comfortable lead. I wasn’t going to push so I just enjoyed the run and crossed the line in first place. After the race I caught up with my friend Justin and cheered him on for his race. 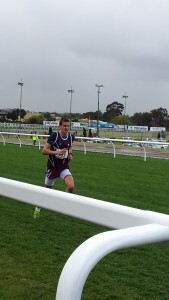 QLD Medium Course Cross Country Champ!!! Ok, so I am super happy to be the U16 Qld Medium Course Cross Country Champion!!! Not only was I the individual champion but my Tees team was also announced as the QLD champions. Now time for the report. Yeronga is always a hilly course and this year maintained that reputation, with slow times and lots of incline. Today’s race was a three kilometre and we started off with a one kilometre loop followed by a two kilometre loop. 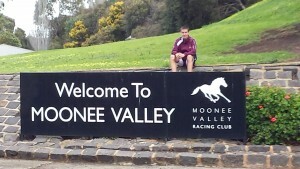 Read more about QLD Medium Course Cross Country Champ!!! Where do I start… well being sick never helps. After a horrible night’s sleep and the longest sleep in I have had this year, I spent the morning resting and trying to convince myself that I was fine and that I would be able to run. We left for the race just after lunch and arrived an hour before I was due to start. The race was a 3x4km relay. I really should not have run but I didn’t want to let my team down. My team was in the under 18 males and consisted of Katrina Robinson and Callum Davies who both had a brilliant race (thank you for making up for me being so slow on the day).